Are you looking for an exceptional gift for a family member, friend or colleague? Then you have come to the right place! Every copper piece is one-of-a-kind and surely an eye-catcher for shelves and desks. Due to the protective varnish the still will keep its glossy finish, but can also be removed to oxidize and form a beautiful brown patina. 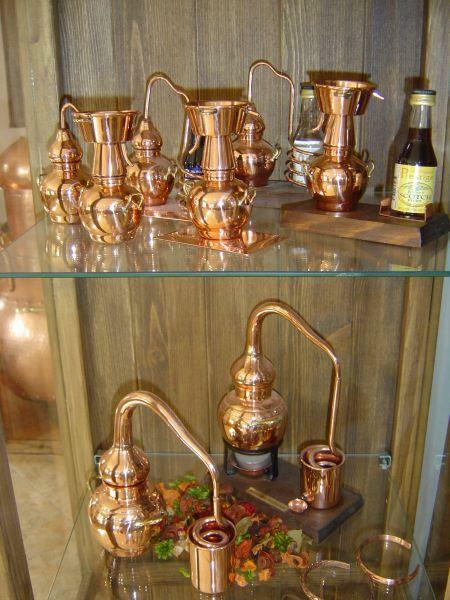 The miniature stills are a real masterpiece and a must-have for every distiller's home!